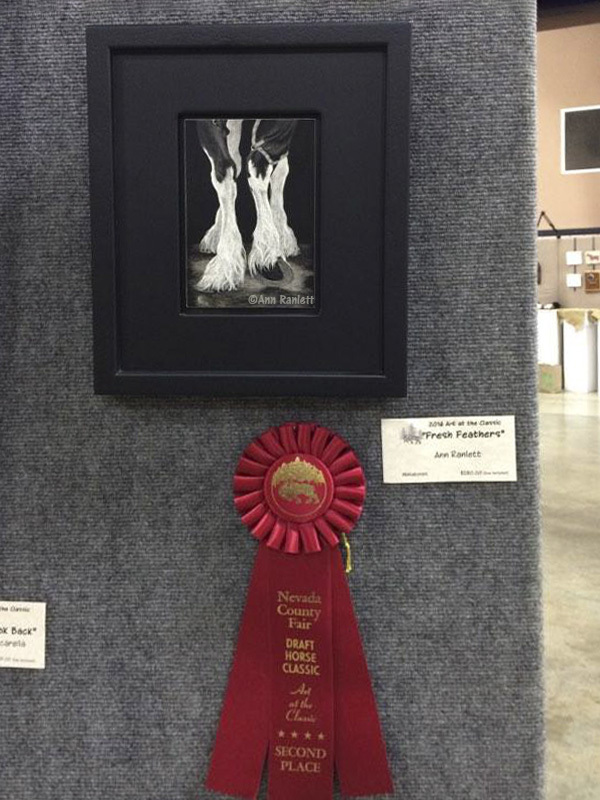 “Fresh Feathers”, my drawing of a Shire draft horse’s legs, was awarded Second Place in the Miniature category at the 2016 Art at the Classic art show at the Draft Horse Classic. I took the reference photo of the horse at the wash rack at the Classic a few years ago. This drawing measures 6″ x 4″ and has sold. 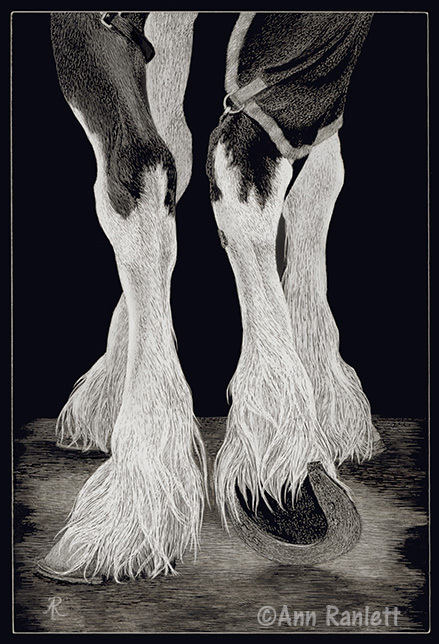 This entry was posted in art sold, award, scratchboard, shows. Bookmark the permalink.